This project deals with moving a fridge or freezer and answers frequently asked questions about moving a fridge: Can I lie a fridge down to move it, How long should I leave a fridge before turning it back on after moving house, how do I protect my fridge when moving house and How do I move a freezer. These are important questions to ask if you need to move a fridge as if you do not transport it correctly e.g. by laying it down when its not supposed to be, oil in the compressor unit may be allowed to flow into the cooling pipes and it will not cool efficiently again meaning you will have to buy a new one. When can I Turn my Fridge Back on After Moving? It is always recommended that you avoid lying a fridge or freezer on its side but sometimes there may be no other option e.g. if you only have an estate car to move it in. Some more modern units are a little better at coping with movement and especially being on their sides but unfortunately this cannot be guaranteed. If you have had no choice but to transport a fridge on its side it should be left upright for a minimum of 3 hours before it is plugged in and turned on. If it was on its side for more than a day let it stand for 24 hours before plugging it in. Can I Lie a Fridge Down to Move it? When moving your unit from its current position to the transport vehicle or new location make sure that you use the correct equipment e.g. some sack trucks (also strap the unit to the sack trucks). Fridges and freezers are bulky, awkward items and trying to carry them can result in damage and scrapes to walls and, worst case, even dropping the unit and damaging it or even splitting it which will then render it useless. In the event that you have to carry it due to space restrictions, make sure that you get some help, at least 2 people and always lift in the correct manner – look after your back! Lie your fridge on its side and never on its back – lie it on the side opposite the hinges so the door is not straining to open. If you have a side by side fridge freezer lie it down on the freezer side (the side with the smaller door). Additionally, if possible, place a strong box or similar sturdy item under the top of the unit keeping it at an angle and minimizing the possibility of any damage. *NB – Check with the manufacturer of your fridge as certain models do state that you must always transport them in an upright position. Check your instruction manual or the manufacturer’s website for more information. How Should I Carry or Move my Fridge or Freezer? As stated, you should not try to lift the fridge on your own; always lift it with at least one other person to avoid straining your back. It is also a good idea to measure your fridge or freezer any doorways that you will have to go through to make sure it will fit. 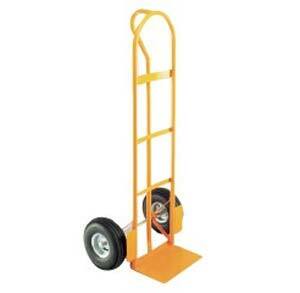 If you do not have any of the affore mentioned sack trucks available to you they can be hired from your local hire shop. This may sound like an unnecessary expense but believe us, it’s more than worth it! When placing the unit on the sack trucks, make sure it’s on its side. Do not be tempted to lay it on its back as this could damage or crush the cooling pipes or radiator. If when the unit is on it’s side it is too wide to go through any doorways or openings, transport it to the opening and unload it from the trucks and then maneuver it through and load it back onto the trucks once through. Do not be tempted to ″wedge it on in there″ as this will damage the appliance and the opening. Make sure you secure the fridge to avoid it moving in the van – use straps and take particular care if the fridge has rollers underneath, you may want to use chocks to make sure it won’t roll around. Cover the refrigerator with a blanket to make sure the exterior surfaces are protected and do not get scratched. Moving a freezer or a fridge freezer is the same process, and obviously you should make sure that the freezer is empty and defrosted before you attempt to move it. You could have a leaving party and invite the neighbours round to eat up the contents of the fridge freezer and say goodbye in style! These feet normally help prevent the unit moving around when it’s in action and also help protect your floor covering and due to the nature of rubber it tends to be quite resistant to sliding. To get around this issue, spray a small amount of furniture polish in the space under the counter top and rub it around using an old cloth or duster, making sure that you do not get any outside of the opening as this will make the floor very slippery. With the polish now applied you should be able to slide your appliance easily into position. Where is the Best Place to put a Fridge or Freezer? This is one of those questions that you might never think to ask, however there are places that you should avoid placing a fridge or freezer. 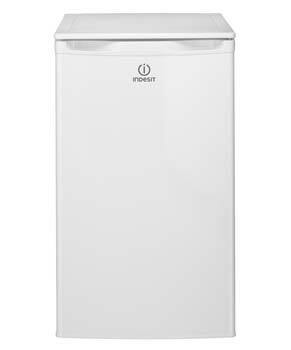 * Note – Manufacturers of some models recommend they should be kept upright at all times to stop drain water from running back into the appliance because of the design of the drain (unless it is brand new and unused). Where you have to transport it on its side, turn it off a day in advance to let it drain fully.